I should just like to say that these places are amazing! They are really well thought out with plenty of stuff to keep kids entertained and also they are good for people with a tighter budget. We shall return again. Just a short walk from the historic Albert Docks which form part Liverpool’s famous Waterfront, YHA Liverpool is right at the heart of everything Liverpool has to offer. This Youth Hostel is ideal for anyone looking for a budget city break. The Tate, the International Slavery Museum and Museum of Liverpool are about 10 minutes’ walk away, so there is plenty to do in this city of culture. Alternatively head south and you’ll stumble across fabulous bars such as the Camp and Furnace, Baltic Social, and the Liverpool Gin Garden. 3 x 2 bed en-suite, 6 x 3 bed en-suite (all have double beds), 2 x 4 bed en-suite (both on the ground floor, with disabled access), 2 x 5 bed en-suite, 17 x 6 bed en-suite, and 2 x 8 bed (not en-suite, but shared bathroom along corridor). We have recently redecorated our bedrooms so they're fresher and we've made improvements to the toilets and showers. Grounds: excellent green space for children to play in. Adults can sit and relax with the odd beer or three. If you're arriving on two wheels, there is a bike shed available for guests to use. The Youth Hostel is safe and secure and locked every night at 11pm. Access by buzzer only for residents between 11pm and 6am. There is also a games room, TV room and a thriving bar and reception area to hang out in - settle down and make some new friends. We've added ambience to our social spaces by changing our flooring, furniture and lighting so our bar is now the perfect place to hang out before a night out in Liverpool. We also have a meeting room for up to 15 people. The Liver Lounge Café & Bar is a great place to meet fellow travellers, share stories and chat about your plans and if you need any ideas for what to do in this vibrant city. We offer a broad selection of delicious food, alongside a range of freshly made hot drinks and a well-stocked bar. Open daily to guests and passers-by, let us welcome you to rest your legs and indulge your senses after the day’s sightseeing. Choose from our tasty daily specials or delve into our café-bar style menu experience - think scrumptious bar snacks, trendy English tapas, stone-baked pizzas and piled-high burgers. Don’t forget, kids under 10 eat free – get one kid’s meal free with every adult’s meal. Parking: Free residents parking for up to about 20 cars (with no coaches). With coaches there is parking for 10 cars. There is also one disabled space. Pets: Pets are not permitted at YHA Liverpool. Assistance dogs are welcome. Open every day? : Yes, YHA Liverpool is open 24 hours a day, every day. YHA Liverpool is located just across the road from Liverpool Waterfront, the country’s top heritage attraction, boasting museums and galleries. It is also within easy reach of all of the city’s most famous landmarks. 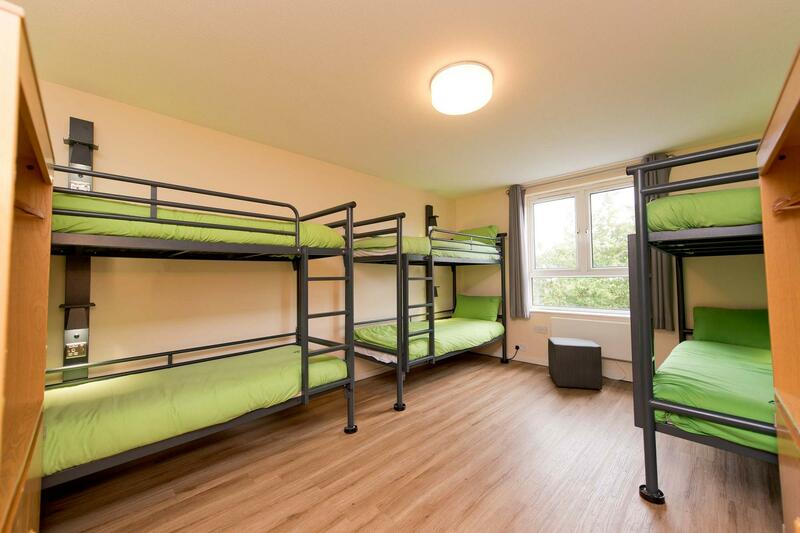 With up to 138 beds, classroom facilities, internet access and group meals, this hostel is well equipped to welcome school parties. At YHA Liverpool we have one meeting room available for hire. Capacity: Up to 15 delegates depending on seating configuration. Parking: There is parking space on site for up to 20 cars. Accessibility: The meeting room is located on the ground floor and has step-free access. The closest accessible WC is located next to reception. For more information please see our access statement. Air conditioning: There is no air conditioning in the room. Fans and heaters can be provided. YHA Liverpool was purpose built and opened in 1998 by the Duke of Edinburgh. 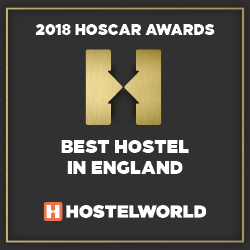 The Youth Hostel is situated opposite a World UNESCO Heritage site, and is close to all that the city centre has to offer in terms of culture, shopping and nightlife. YHA Liverpool Manager Cat: I’m Cat and I have worked for YHA on and off for 11 years now, working my way up from Team Member to Catering Manager, Relief Manager to Hostel Manager. I have worked all over the country for YHA, starting my career in beautiful Bath before moving to the Lakes, Peak District, Wales, the South Coast and now Liverpool...but as I grew up over the water on the Wirral, it feels like coming home being back in this great city! Manager recommends: Anfield Stadium is a definite must when visiting Liverpool on a cheap city break. The city has amazing museums, full of history, music and culture which are well worth exploring. Believe it or not, Liverpool has lovely beaches for a day out, and with cheap accommodation in this friendly backpackers hostel, you've got everything you need for a great Liverpool weekend break.